Part 4. Project 4. Exercise 1. The structure of the human body. 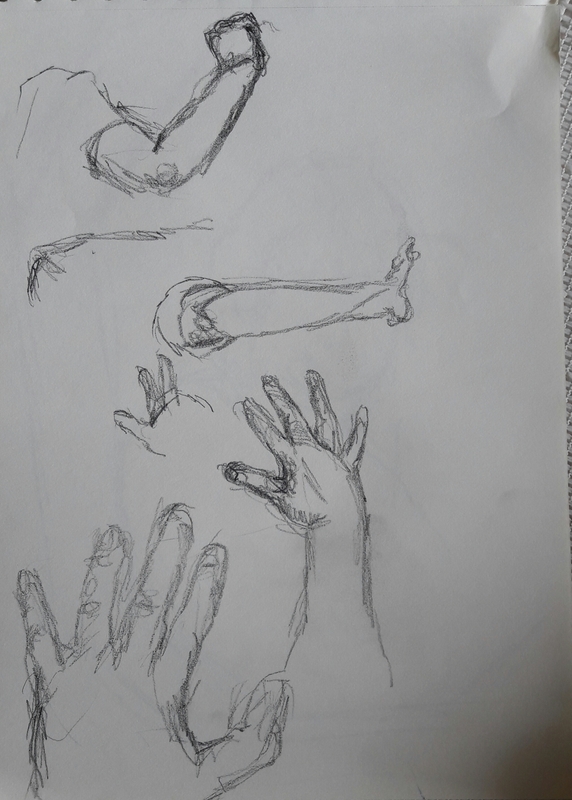 I was confused by this exercise which asks you to sketch parts of your own body. I think it means looking in a mirror but drawing one’s own body without a mirror might be a more interesting exercise. 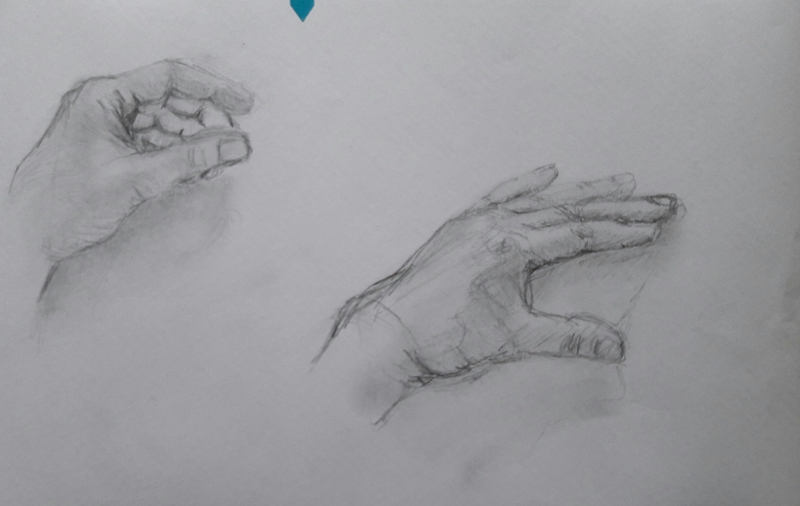 I’m not sure I can draw my own elbows without looking in a mirror though! 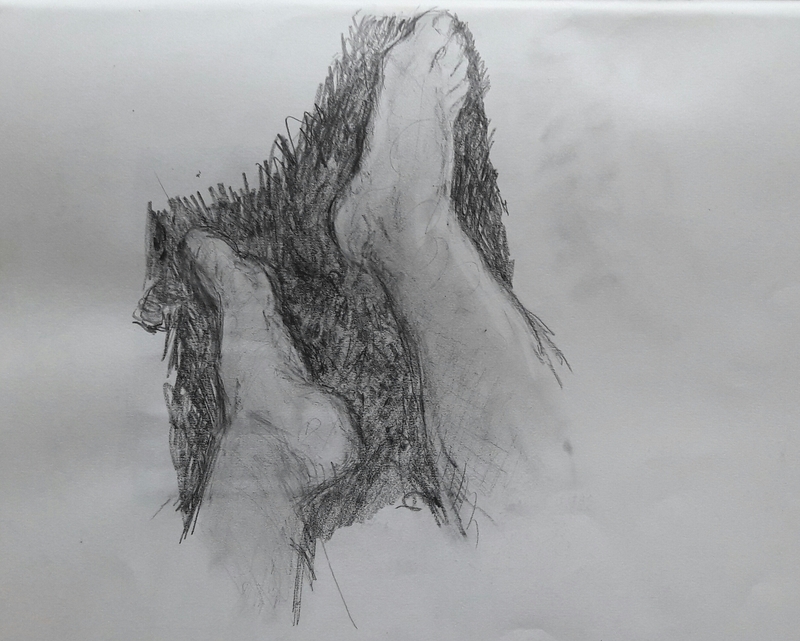 Here are drawings of hands and feet not in a mirror. I also feel like this is a potentially endless exercise so I’ll add pictures as and when I do them. Author ewilsonartPosted on July 11, 2017 July 26, 2017 Categories P4. P4. Exercise 1. The structure of the human body, Part 4. Project 4. Structure, Part Four. The Figure and the Head3 Comments on Part 4. Project 4. Exercise 1. The structure of the human body.